A GENTLEMAN'S GUIDE TO LOVE AND MURDER is the hilarious story of Monty Navarro, an heir to a family fortune who sets out to jump the line of succession by—you guessed it—eliminating the eight pesky relatives who stand in his way. All the while Monty has to juggle his mistress, his fiancée and the constant threat of landing behind bars! Of course, it will all be worth it if he can slay his way to his inheritance… and be done in time for tea! This is the first time the musical will play in Fairfield County. Curtain Call's production is directed by John Atkin, with music direction by Tony Bellomy, choreography by Christine Titus, costume design by Robin Mazzola, lighting design by Peter Petrino and set design by Peter Barbieri, Jr. 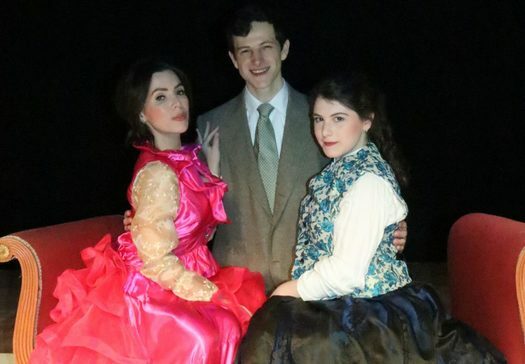 The cast is significantly smaller than most of the organization's large-scale musicals, "but it was the chamber-size elements that drew me to it - among other things," Ursone said. "Having directed a couple of traditional farces, when asked, I jumped at the opportunity to take on this musical farce. It has all the smart elements I look for in a production, side-splitting British humor, snappy smart dialogue, and music that will knock your socks off," said Atkin. 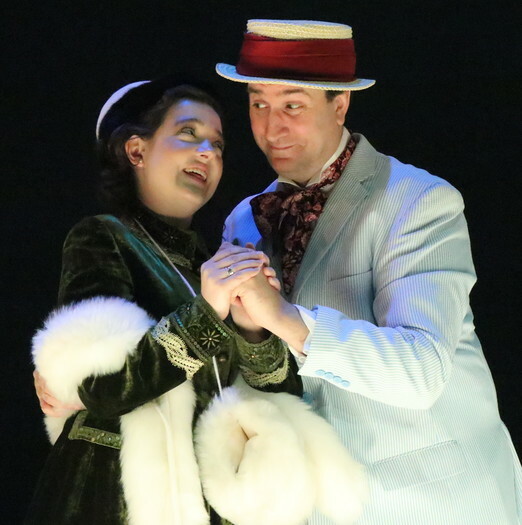 “It is always a thrill and a pleasure to direct at Curtain Call, Stamford's longest-running and only year 'round, nonprofit producing theatre company. Curtain Call sets the standard with high production values, and a hard working and dedicated production team, that truly supports the job of the director," he added. The original Broadway cast consisted of just 11 players, Curtain Call's cast includes 14: Ann Alford, Katherine Atkin-Dahm, Seth Barkan, Rebecca Borowik, Anne Collin, Dan Fay, Robert Geils, Sarah Giggar, Katie Imholt, Melissa McGuire, Janice Rudolph, Kellen Schult, Bill Warncke and Michael Wright. Atkin noted that good timing, a sense of humor, and dedication to commit to each line is what he looks for in casting a comedy. "I have found all of that in this talented cast. The entire cast works together seamlessly to tell this hilarious tale, of love…and murder, that you never see coming!” Ursone noted that his favorite aspect of the show is watching one actor play eight roles. Atkin said, “Michael Wright’s hilarious portrayal of all the members of the D’Ysquith Family has me gasping for air every night at rehearsal, wondering what he’ll come up with next!" Ursone commented that newcomer, Dan Fay, is working beautifully with "our two leading ladies." Atkin added, "Dan Fay’s balancing act of charming two beautiful love interests, (played by Sarah Giggar and Rebecca Borowik), will have you guessing which one he ends up with, or maybe he ends up with both…"
Performances will be held Friday and Saturday evenings at 8:00PM and Sunday afternoons at 2:00PM, beginning March 29 and continuing through April 27. The Kweskin Theatre is located at The Sterling Farms Theatre Complex, 1349 Newfield Avenue, Stamford, CT. Doors open one half hour before show time. Tickets are $35 for adults, $25 for senior citizens and $17.5 for children. Thrifty Thursday tickets are $27.50 for performances on April 18 & 25. (No show Easter Sunday, April 21.) Box Office: 203-461-6358 x 36 or on the web at www.curtaincallinc.com. Curtain Call's 28th season also includes Big River and I Hate Hamlet, as well as comedy nights, and an interactive murder mystery. Additional information is available at www.curtaincallinc.com or by calling 203-329-8207.